A cartogram is a map where some variable (e.g. population) is substituted for land area or distance. The geometry of the map is distorted to convey the information of this variable. 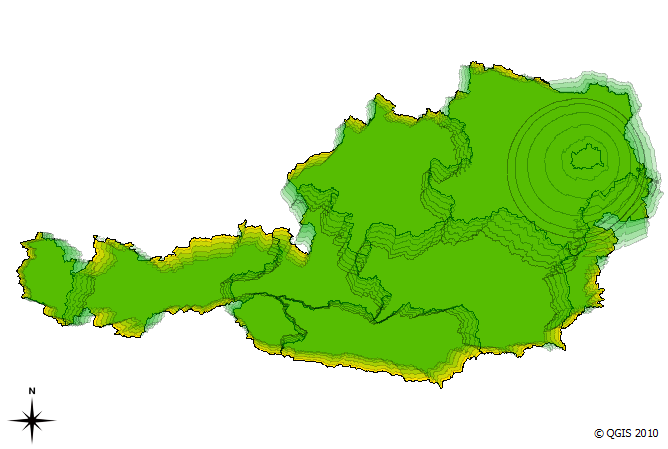 “Cartogram Creator” is a Python plugin for QGIS available through Carson Farmer’s repository. The small island in the north-east is Vienna, the Austrian capital. With more than 1.5 million inhabitants, it is the region with highest population. This fact should be visible in the resulting cartogram. 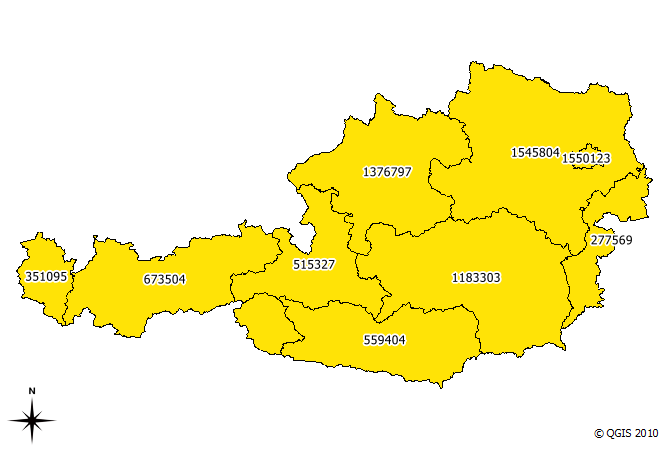 The cartogram shows pretty clearly that the Vienna region is home to a considerable population.